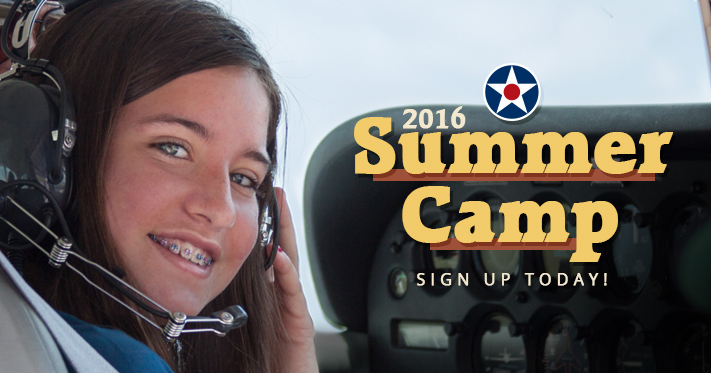 The AMC Museum’s educational summer camp is for children interested in aeronautics and the U.S. Air Force. They will learn the history and science of flight, learn to fly in a simulator, and pre-flight an actual aircraft. They’ll also see what it’s like in a working air traffic control tower on base, get a weather briefing, and talk to a pilot and loadmaster. New this year—a digital scavenger hunt! Sign ups for our 2016 Summer Camp has now closed. Thank you for your interest and we hope to see you next year!